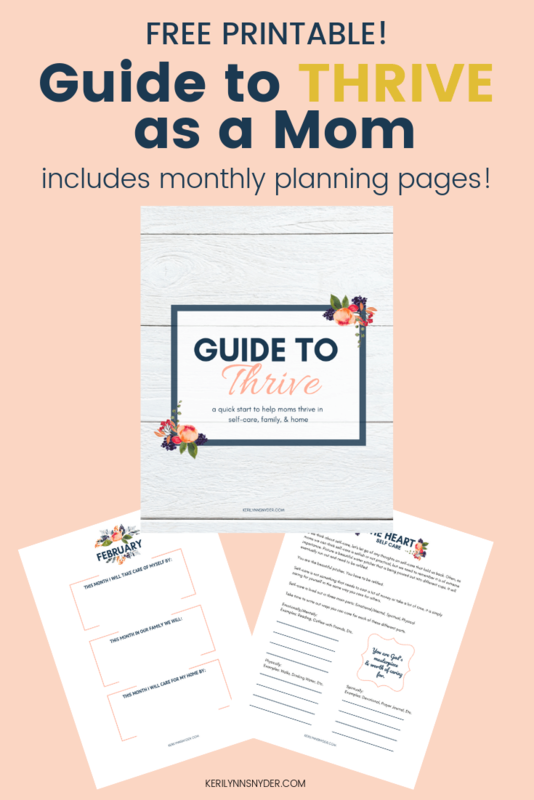 Grab your free guide to thrive as a mom today! Are you tired of just making it as a mom? Do you feel stuck in survival mode? Around here we are about more than just making it as a mom- we are ready to thrive- yes even in the mess! YES! I WANT THIS! CLICK HERE TO GET THE FREE PRINTABLE! 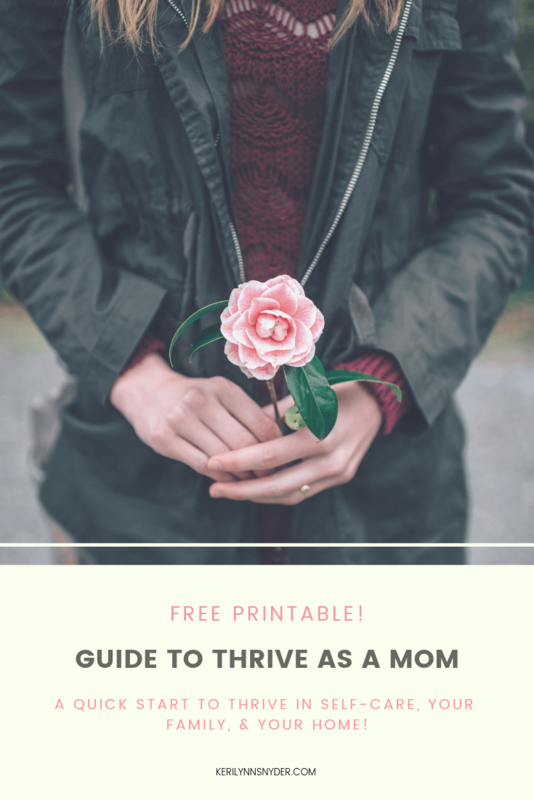 The Guide to Thrive as a Mom is designed to help moms focus on thriving in self-care, their families, and in their homes. Far too often we believe mom life equals survival mode. However, that simply is not true. We can thrive as moms- yes even in the messy parts of everyday life. The Guide to Thrive will help you cultivate an intentional life. The printable pages walk you through focusing on what matters to you and learning how to make that happen. It includes monthly planning pages where you can write down what matters. Let’s start thriving today moms! 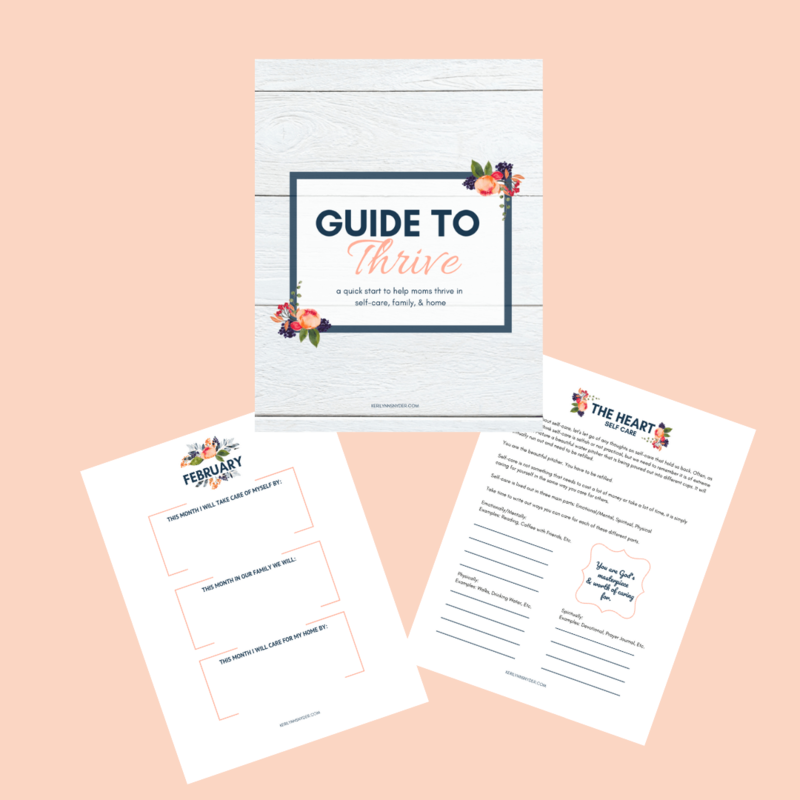 Click here to get your Guide to Thrive or fill out the form below!